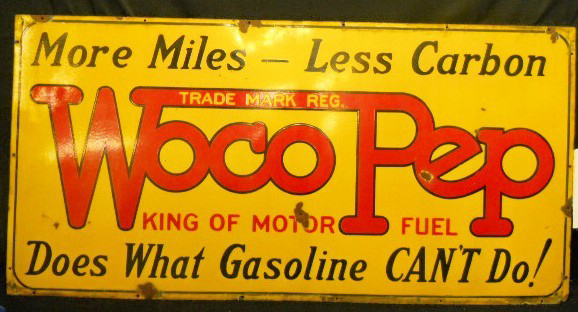 This is a rectangular Woco Pep Motor Fuel porcelain sign. This particular Woco Pep Motor Fuel sign is yellow with red and black text. It reads, “More Miles – Less Carbon, Woco Pep, King of Motor Fuel, Does What Gasoline Can’t Do!” and features a thin black border.